App Builder Appy Pie, December 5: The old adage that it is easy to gain a customer but the challenge lies in retaining one seems to have stood the test of times. There is a barrage of apps in the market today and the attention span of the new age customer is quite short. It might be easy to be the one hit wonder but it is as easy to fade away too! One of the most alarming statistics that you may fear is that more than 20% of the apps are used just once after they are downloaded before being abandoned completely. This figure has improved slightly since 2015, but the number of users who abandon the apps immediately after downloading it is still high. A number of brands including Domino’s McDonald’s, Instagram, Runkeeper, Starbucks and many more have been successful in putting their mobile apps to great use and have managed to improve customer loyalty, to boost their sales & revenue, and enrich the overall user experience and interface. However, on the other side of the spectrum there are an equal number of apps that have struggled and sometimes failed to find the correct strategy even after building and launching an app. 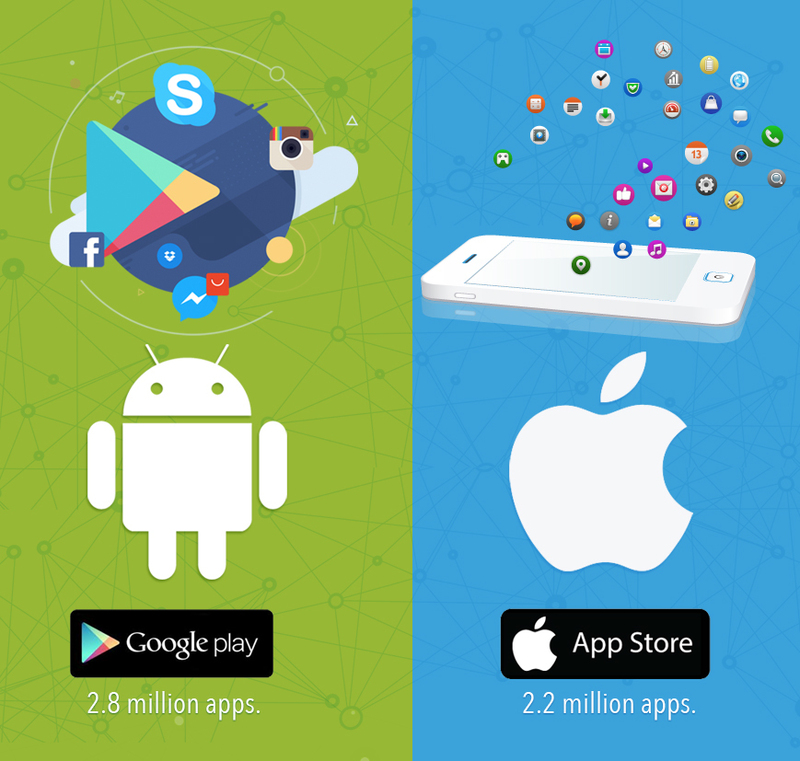 Today, an android user has an option to be able to choose from a total of 2.8 million android apps that are active on the Google Play Store, whereas on the Apple App Store the iOS user gets an option to choose from a total of 2.2 million iOS apps. These figures are humbling in their own regard and give you a picture of how competitive the market is. In this scenario, gimmicks or tricks will only help you get so far, it is really well planned, and thought out strategies that are implemented properly that would bring in real, long term results and help you realize the benefits of your mobile app. Mobile app engagement and mobile app retention are two critical parameters that go into defining and shaping the journey or path that the app would take. A low app engagement and retention lay down the path to imminent failure while a high app engagement and retention means that you are on to something good. What we mean by mobile app engagement is the extent of the user’s activity on the app. This might sound like a subjective criteria, but Appy Pie describes an engaged user as someone who interacts with the app in more than 10 sessions in a period of 30 days. Mobile app retention is another one of those subjective criterion but the app development industry puts its benchmark as the percentage of users who return to use the app in a period of 3 months since their first session with the app. 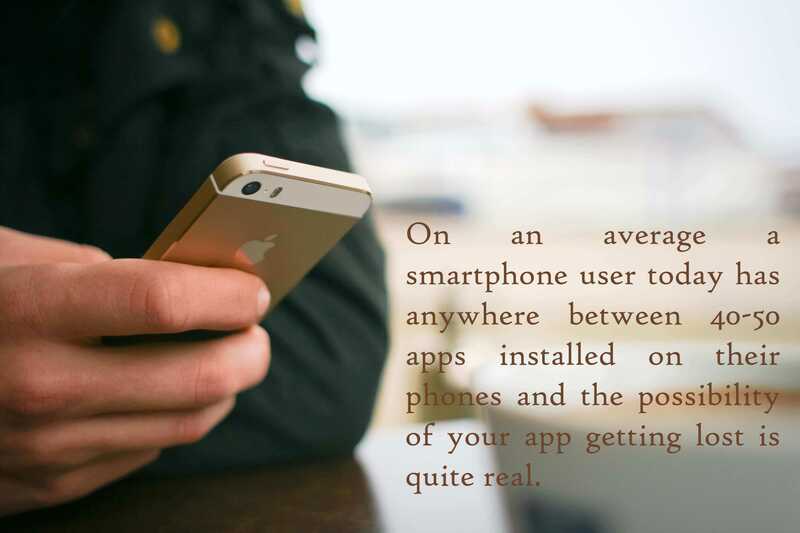 It is the average of these two factors that bring to light how engaging the app is and how loyal its users are. If the prime purpose of your app is user conversion or monetization or a combination of the two, it is critical that you keep the users engaged and ensure repeat usage. 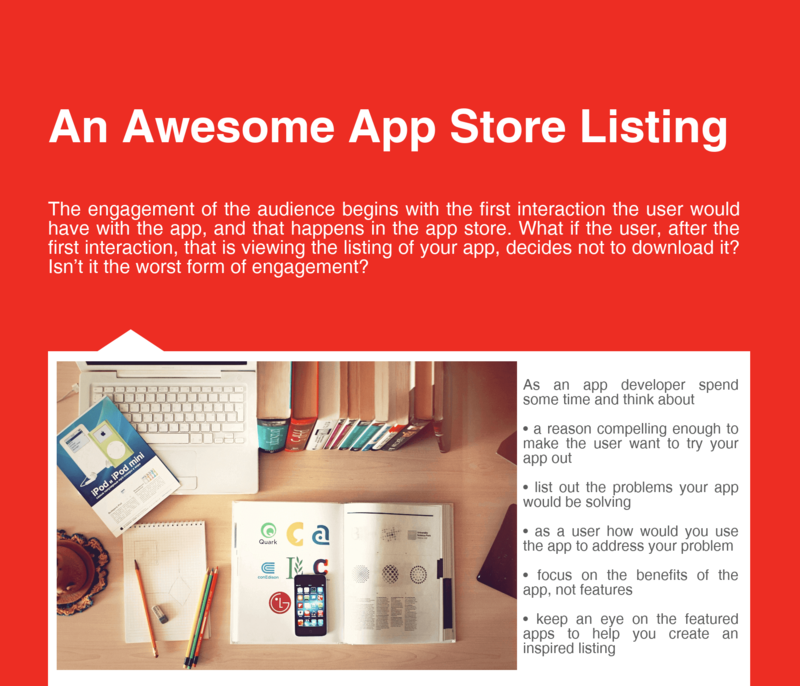 The engagement of the audience begins a lot earlier than the moment when a user downloads your app. It begins when you decide to launch the app that you have so painstakingly designed. The engagement of the audience begins with the first interaction the user would have with the app, and that happens in the app store. What if the user, after the first interaction, that is viewing the listing of your app, decides not to download it? Isn’t it the worst form of engagement? As an app developer spend some time thinking about a reason compelling enough to make the user want to try out your app. Think through and list out the problem or problems that your app would be addressing and how would you as a user be using the app to address these problems. It is important that you focus more on the benefits of the apps at this stage and not on the features. Incorporate relevant feedback from the testers into the listing to make it even more lucrative. It is a good idea to keep an eye on the featured apps on the store and get inspired to create a good listing for yourself. Remember the saying about the first impressions being the last ones! It is time that you put it to good use when you are trying to build an engaging app. 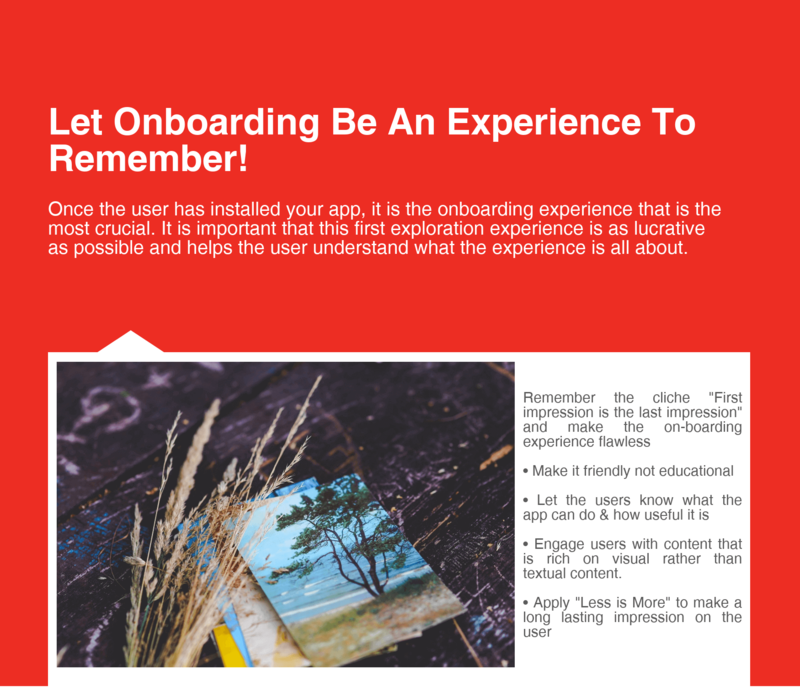 The users’ onboarding experience is essentially the first interaction that you would have with the user. This should be a friendly session instead of an educational experience with a number of slides telling them what to do with the app. Take this opportunity to tell them what the app can do for them and how useful it can be for them. At this stage the users aren’t really familiar with the app and a tutorial at this moment can be off-putting. It might be a good idea to engage the users with content that is rich with visuals and go a little easy on the amount of textual content. Apply the “less is more” principle and make an impression that would last long. Your app might need some kind of a login or authentication at some point of time. However, if you are planning to incorporate this feature, it is best to wait for a while. 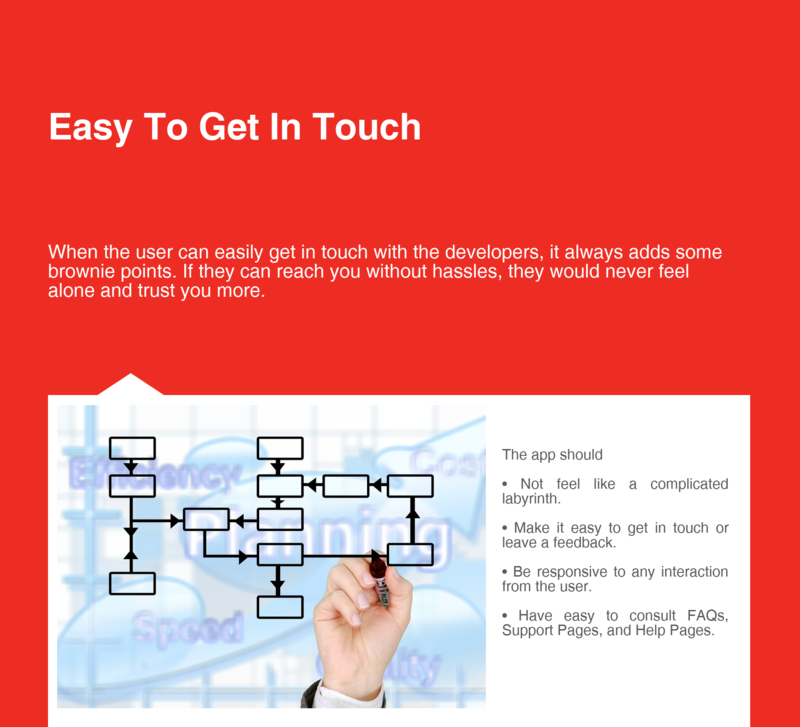 Let the user get an idea or feel of the app before they are required to submit their details. 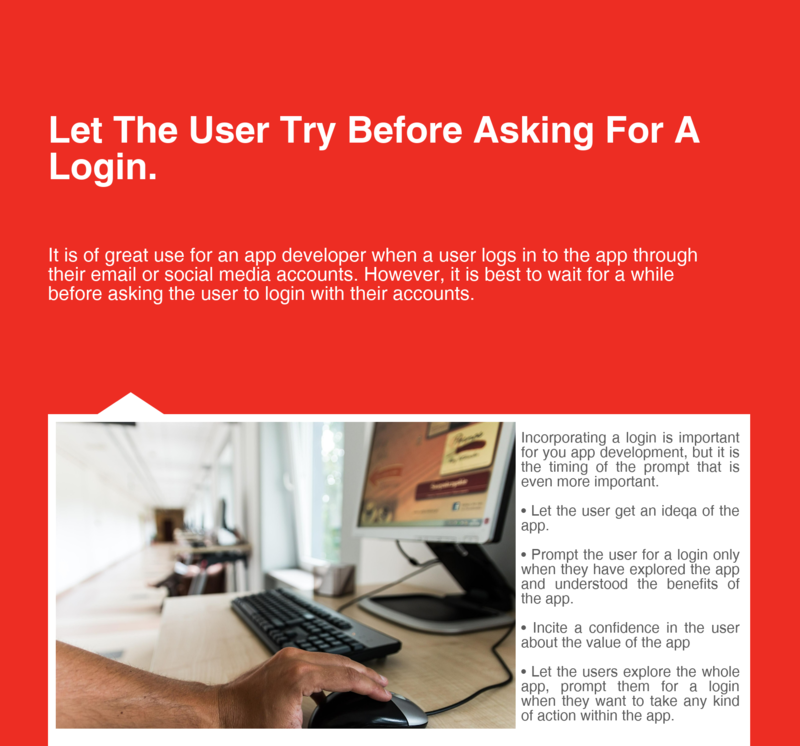 It is wise to prompt the users for a login only after they have explored your app and understood the benefits. With this action, you as a developer are in fact inciting a confidence among the users about the value of the app before they decide to commit to it. It is a good strategy to let the users explore or browse through the app as much as they want, however if they want to use any of the features of the app or perform any action, prompt them to create an account or login through their social media accounts. This is pretty obvious, isn’t it? 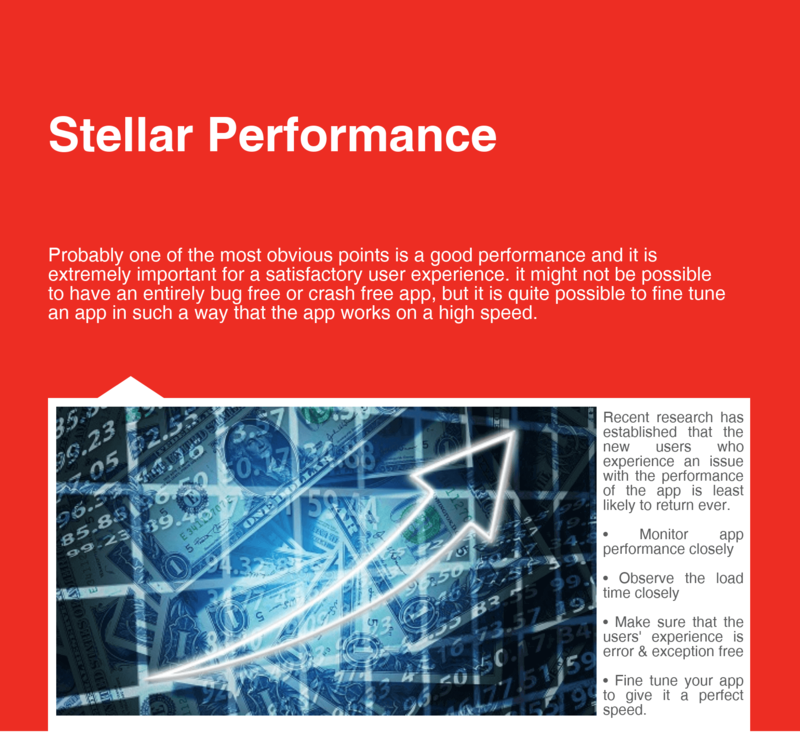 The performance of the app is of paramount importance for a satisfactory user experience. It has been established through a research that the new users who experience performance issues with an app might never return to the app. In your endeavor to gain conversions of users from browsers to buyers it is important that the apps performance is monitored closely and the load time is observed closely. It is important to ensure that the users’ experience is error and exception free. It isn’t really possible to develop an app that would be entirely bug-free or crash-free, but it is possible to fine tune your app in such a way that your app has the perfect speed to ensure a perfect app experience. Focusing on the speed and performance of the app is of extreme importance. A smoothly functioning app which is really fast goes a long way in increasing user engagement. 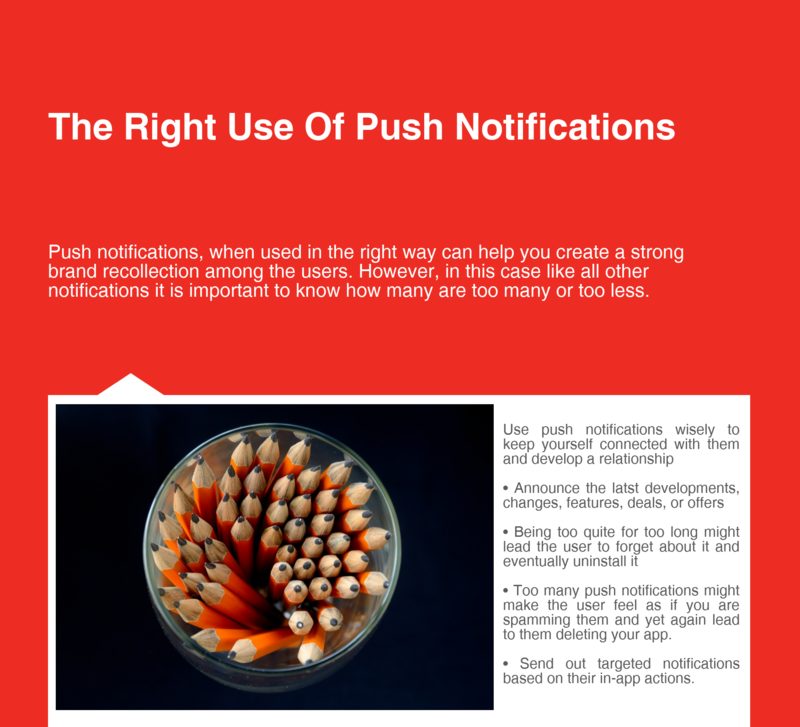 The intent of using push notifications is to create a brand recollection among the users through timely messages that announce the latest developments, changes, features, deals or offers. The apps that go quiet for too long run the risk of being forgotten about which might lead to the user deleting them eventually. However, going to the other extreme can prove harmful as well. If you send a push message too often, the users might end up perceiving you as a spammer, thus eventually deleting the app. The trick is in knowing how many are too many or too less. These days it is possible to let out targeted push notifications based on the in-app actions of the user. Tailor them, customize them, and make them as relevant as possible to the user to keep them engaged or rather hooked! Push notifications can do wonders for your app, it’s true. However, it is important to give your users the control of opting out of the notifications. It is important to remember that the customer would like to be in control. While it is important that you send only relevant and valuable notifications, it is important that the customers get the option to unsubscribe as well. 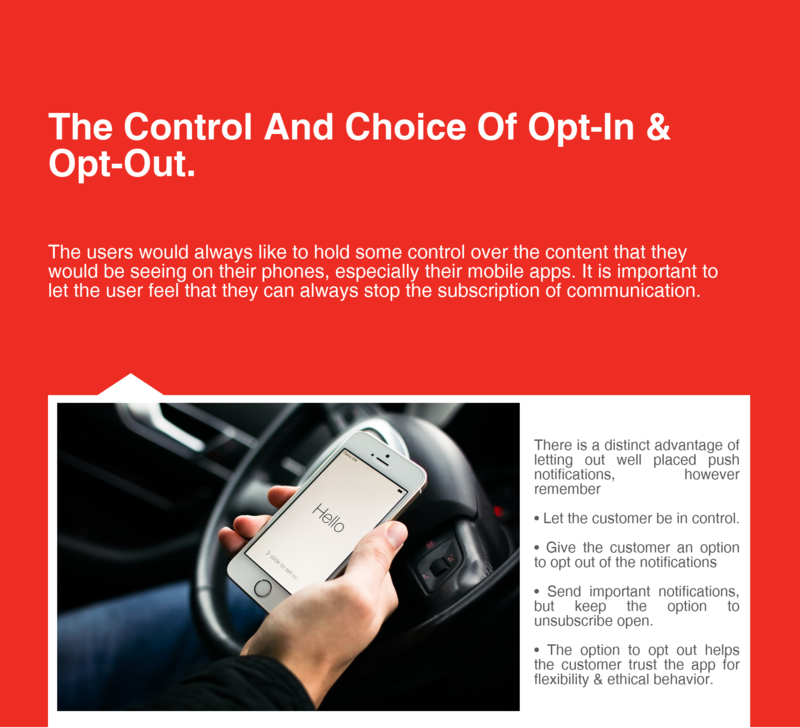 The mere option to opt out of the notifications helps the customer trust the app for ethical behavior and flexibility. One of the common areas where the apps lose out on customer engagement is when the users are not able to get in touch for any assistance or query. The app shouldn’t feel like a complicated labyrinth that is impossible to navigate. It is important to let the user know that help is always around and they’re not alone. If you make it tough for the users to contact you, you are going to lose out on their attention and miss out on valuable feedback. When a user can reach the help pages, support pages or the FAQ section easily, they’ll be encouraged to leave more feedback which give you opportunity for improvement by giving you a deeper understanding of the users. 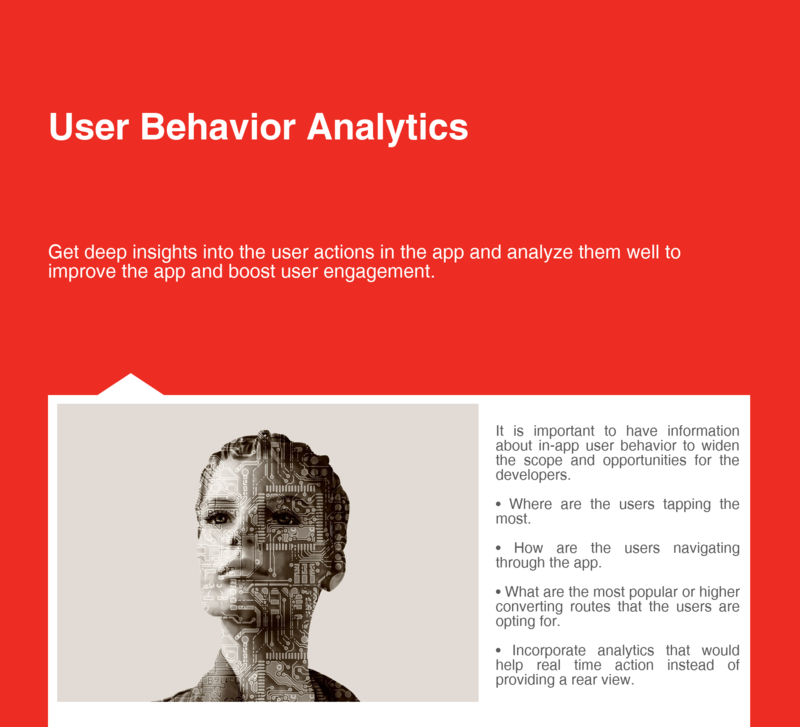 To improve the app and boost user engagement, it is important to get deep insights into the user interactions in the app and analyze them. Information about in-app user behavior like where are they tapping the most, how are they navigating through the app, what are the most popular or higher converting routes that the users may be opting for etc. have a big scope and opportunity for the developers. These analytics should have the ability to initiate real time action instead of helping with the rear view. It is on the basis of these analytics that you would be able to judge the suitability of any measures or steps that you might have taken to encourage user engagement. Also, the analytics would make it possible for you to plan the future steps and attempts that you want to take for improve user engagement. There are some apps like Inapptics that make this job easier for you and give you all the information and analytics that you might need to make your app more engaging. This is an era of personalization in every sense and space. 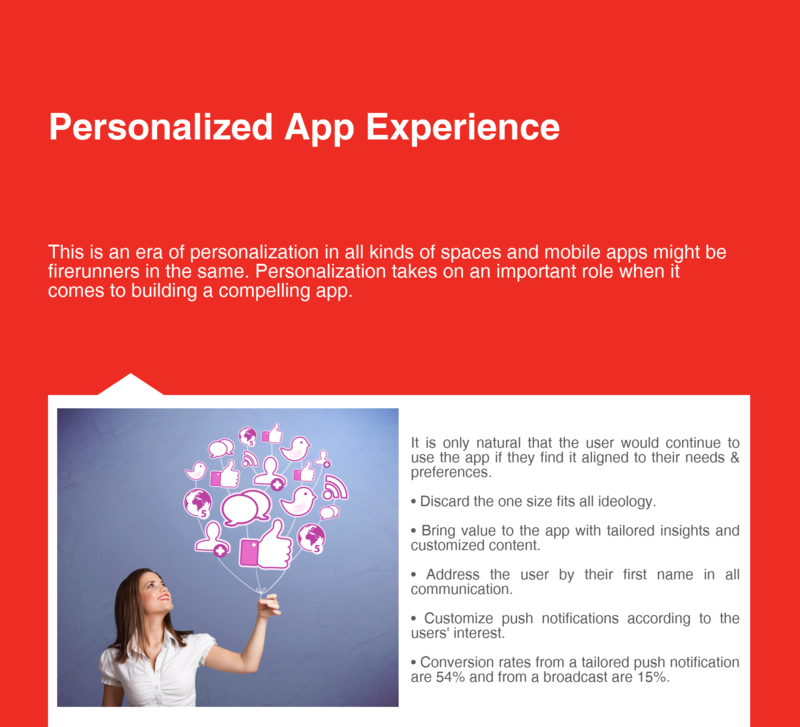 To make a compelling app, personalization takes on the role of one of the most important factors. It is only natural that the user would continue to use an app only when it is aligned with their needs and preferences. A new age app does not provide a uniform experience with a one size fits all attitude. It is tailored insights and customized or personalized content that brings value for any client. One of the most rudimentary ways to do this is to use the user’s first name on screens, notifications, and chatting, but what really works is to dive deeper and ensure that the push notifications are customized as per the user. Research indicates that when push messages are tailored as per the user’s interests the conversion rates are 54% as opposed to 15% from broadcast messages. 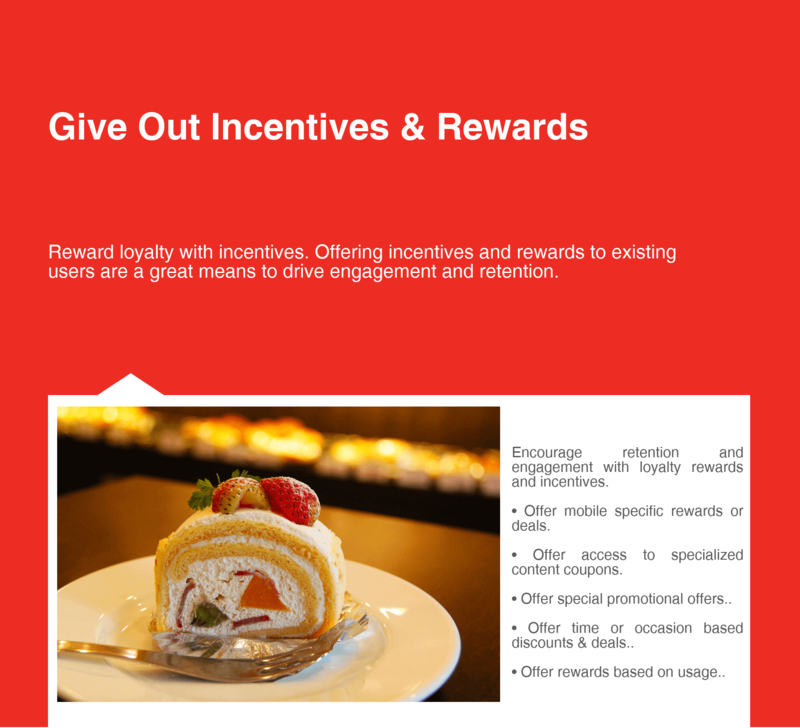 Disseminating rewards or incentives to the users can prove greatly effective in driving engagement and retention. Some of the most effective incentives that have proven to inspire retention and boost conversions include mobile specific rewards or deals, access to specialized content coupons, special promotions or offers. The kind of incentives or rewards that you may offer depend on the nature of your app e.g. if you have an app that is monetized on the model of in-app purchases then you may offer time or occasion based discounts and deals, wherein the freemium apps can offer rewards on the basis of usage. 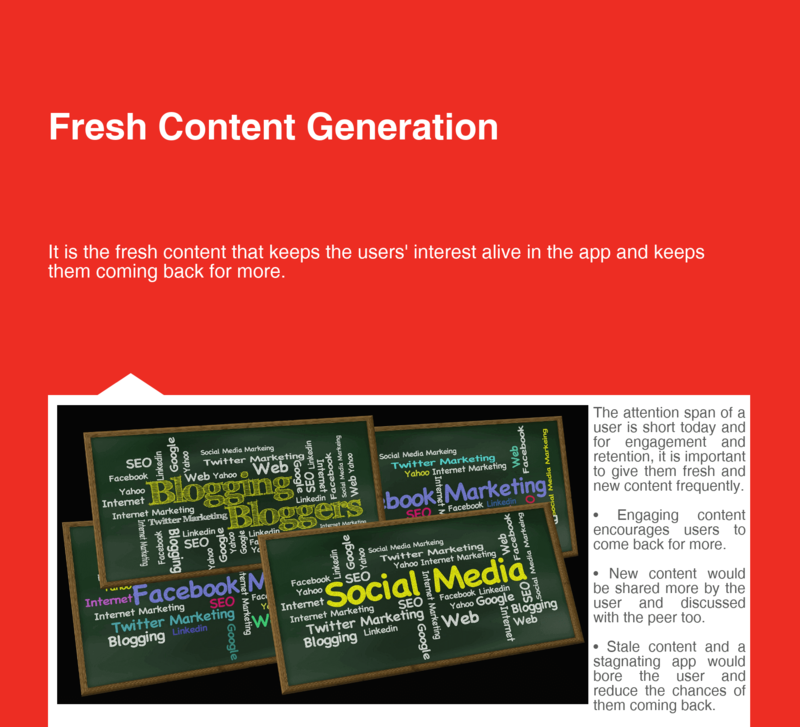 Fresh content is the most important part of any app, it is what keeps the users’ interest alive in the app. It is engaging and new content that keeps the users coming back for more and encourages them to discuss it with peer, share them on social forums and even leave better feedback at the store. If your content is stale and the app stagnated then, the users will get bored and lose interest reducing their chances of coming back to the app and increasing the chances of deleting it. Companies that do not generate new content encourage the users to believe that they have given up on the app and may even discontinue it in the times to come. It is not necessary that you employ all of these tips to enhance user engagement, but choose wisely so that the tips you choose are best suited to your app and helps you derive the most from them. Keep in mind that there is no sure shot formula to achieve astronomical success and you must continuously analyze what it is that works best for you and optimize the strategies that you opt for accordingly. The tips stated above have stood the test of time in bringing considerable results to improve the app and boost user loyalty, generate interest and increase retention levels.